NOTE: The following is intended both as a contribution to Defendant Skatzes' forthcoming pleading in response to the State's "Motion to Dismiss Defendant's Petition to Vacate," and as a free-standing explanation of Skatzes' innocence of the two charges for which he was sentenced to death: the aggravated murder of Earl Elder, and the aggravated murder of David Sommers [during the Lucasville Uprising in 1993]. The State concedes that there were three separate assaults on Earl Elder. First, "Elder was beaten severely by inmates when he was removed from the L-2 safe well, where he had locked himself with Corrections Officer Ratcliff." Motion to Dismiss at 15. 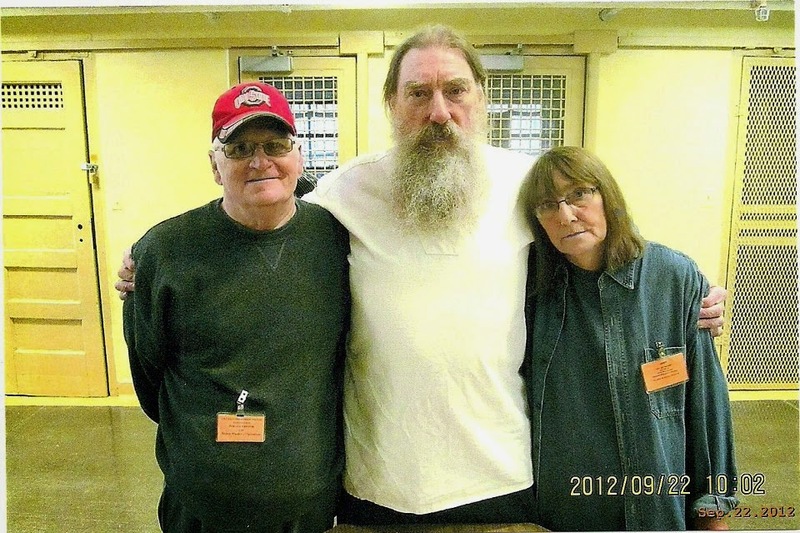 Second, after Elder had been taken to cell L-6-60, prisoner Rodger Snodgrass "repeatedly stabbed him." Rodger Snodgrass testified that he went into L-6-60 and stabbed Elder repeatedly with a very thin, long, icepick type shank. Tr. at 4395-96, 4590. He repeated this description of his weapon in State v. Robb, Tr. at 3757, and State v. Sanders, Tr. at 2623. In State v. Skatzes, prosecution witness Tim Williams corroborated Snodgrass on this point, testifying that Snodgrass was able to slide his four fingers through and make a fist out of his hand with the point of the weapon protruding. Tr. at 3072. The coroner, Dr. Larry Tate, testified that the icepick type instrument made only superficial, non-lethal wounds. He described the difference in appearance between the puncture wounds made by an icepick, and the wounds made by a broad-edged weapon like a knife. Tr. at 4840-44. The lethal injuries to Elder were made by a weapon with a "large edge" like a knife. Tr. at 4837, 4843, 4845. It is unclear whether the fatal wounds to Elder were inflicted by Roper, as prosecution witnesses testified at trial, or by other prisoners, using a piece of broken glass, Post- Conviction Petition, Exhibit 19. The State's chief investigator agrees that Dr.Tate, the coroner, found a "small fragment of silver metal along with a chard of glass" in Elder's body. What is crystal clear is that even if Defendant were to [accept] as true all the testimony of Rodger Snodgrass, Tim Williams. and Dr. Tate, Defendant had no connection with the third assault that actually killed Earl Elder. At most he should have been charged with attempted murder or felonious assault. 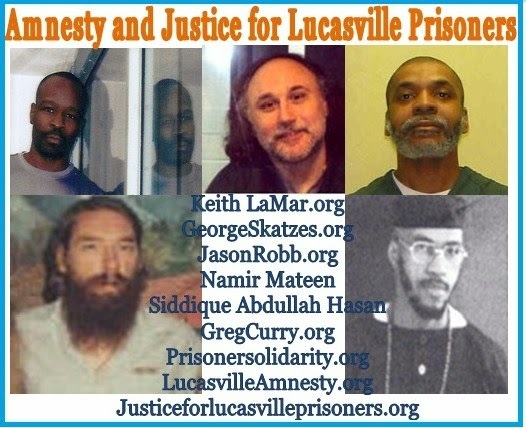 Prisoner David Sommers was killed by other prisoners on the last day of the Lucasville uprising, April 21,1993, in pod L-7 within the occupied cell block. The State argues in its Motion to Dismiss Skatzes' petition at 4 that "post conviction actions are limited to constitutional issues only." Stumpf requires reversal of the conviction of George Skatzes for the murder of David Sommers as a violation of his constitutional right to due process. Stumpf was convicted as the "actual shooter" of Mary Jane Stout. "At a later trial of Stumpf's accomplice Wesley, however, the state presented the testimony of a jailhouse informant to establish that Wesley was the shooter." 2004 U.S. App. LEXIS 8332 at *3. Stumpf was sentenced to death and Wesley to Life imprisonment for the same act: firing the fatal bullets that killed Ms. Stout. "We now join our sister circuits in concluding that the use of inconsistent, irreconcilable theories to convict two defendants for the same crime is a due process violation." Tr. at *49. The convictions of both Stumpf and Wesley must be set aside, the Court held. Accordingly, the panel reversed the decision below in State v. Stumpf, and remanded the case "with instructions to issue the Writ of Habeas Corpus in the petitioner's favor, unless the state elects to retry him within 90 days of the date of entry of the conditional writ." Tr. at *70-71. Understandably, since Stumpf had not yet been decided, the parties in this case have not previously brought before the Court the fact that, in separate trials, Georqe Skatzes and Aaron Jefferson were convicted of striking the same fatal blow that killed David Sommers. Just as in the cases of the two men convicted of firing the same bullets that killed Mary Jane Stout, the convictions of both Skatzes and Jefferson violated their constitutional right to due process and must be reversed. In State v. Skatzes and again in State v. Jefferson, Coroner Leo Burger testified that the cause of death was one massive blow to the head. He said that the injury could well have been inflicted by a baseball bat. He described "a single injury with a blunt instrument, extremely forceful, not only fracturing the bone, shattering [it] in pieces, but also, separating the natural bone, suture lines." State v. Skatzes, Tr. at 3292-94. Q. Doctor, do you have an opinion to a reasonable degree of medical certainty as to the cause of death of David Sommers? The obvious next question is, Who struck the single, fatal blow? Tr. at 6108 (emphasis added). "I know that first lick I hit on him [Sommers] did damage. It leaked. I saw the brains leak. I got the blood all over me." Tr. at 656. This is a reasonably accurate summary of what Jefferson did in fact tell Trooper J. W. Fleming of the Ohio State Highway Patrol in Interview #1264 on June 23, 1994. On that occasion Jefferson told Trooper Fleming: A. So I went to L-7, matter of fact I had a baseball bat with me. A. Yeah, it was a Louisville Slugger. Steel bat. Tr. at 657 (emphasis added). The prosecution's conduct in convicting Skatzes and then Jefferson for the same offense (a single massive blow to the head that killed David Sommers) precisely parallels the prosecution's conduct in convicting Stumpf and then Wesley for the same offense (firing the bullets that killed Mary Jane Stout) .If the due process rights of Stumpf and Wesley to a fair trial were thereby violated, requiring reversal of their sentences 'and convictions, so were the due process rights of Skatzes and Jefferson. Because this is a "constitutional issue," Motion to Dismiss at 4, the verdicts and sentences against Skatzes and Jefferson must be vacated.